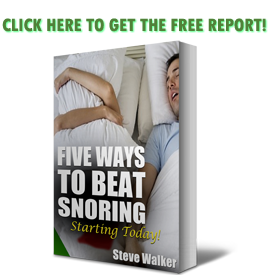 Just How Safe Are Snoring Mouthpieces? When you first started driving a vehicle, were you instructed on how to use it? Or did you climb into a car when you were 17, cool and confident knowing everything there is to know? The question doesn't call for a response; the answer should be obvious. Driver education is required before you can take a vehicle on the road by yourself. How does this relate to snoring mouthpieces? Are they safe? Do they require an education class? It might, but the true answer lies saturated with variables. The general answer is yes'”these devices are safe. Another answer says that some are safer than others. An overnight oral device is considered a Class II Medical Device. FDA regulations require a prescription before these devices are issued to the public. The Code of Federal Regulations has an 'adequate directions for use' clause that acts as a legal loophole allowing the public access through the online forum resulting in new devices flooding the market. It doesn't matter who made them'”whether it be a dentist or an inventor trying to capitalize on the opportunity. None of the claims you find online, however, can replace sound medical device from a doctor or dentist. People consider the safety of a device if it meets three conditions. Your current medical conditions, FDA approval and if the user has clear instructions on its use. To a limited extent, people cannot be blamed for misuse if the instructions weren't clear (or if no instructions are included at all). Before attempting any new remedy, exercise, or other routine that could interfere with current medical conditions, consulting with your doctor is highly recommended. Common conditions a device might interfere with include temporomandibular joint disorder, and bruxism, to name a few. Temporomandibular joint disorder (TMJ or TMD) can be a preexisting condition or be caused by the mouthpiece. The hinge joint that connects your lower jaw to the rest of your skull is called the temporomandibular joint. People often misconstrue the acronym; you may see it called TMJ rather than TMD. 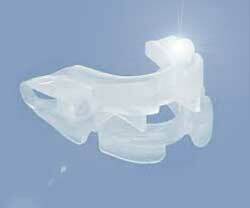 Mandibular Advancement Devices (MAD) are snoring mouthpieces that hold the lower jaw in the forward position. The idea is by holding the jaw forward, you'll have more room to breathe, and thus prevent snoring. Forcing the jaw in an unnatural position can lead to soreness, tooth pain, joint misalignment, and cartilage wear-and-tear. If any of these symptoms last more than a week, stop using your mouthpiece and talk to your doctor. Bruxism occurs when your teeth grind. This is one of the more painful medical conditions that can cause TMD, tooth sensitivity, worn teeth, and muscle pain. It's common to wake up and feel that parts of your face and lower jaw are sore. These conditions need to be considered when shopping for an oral mouthpiece. Side effects like soreness are to be expected. Most, if not all, of these side effects are reasons enough to make sure your dentist gives your oral device a custom fit. Approval from the Food and Drug Administration is important. When a device says it has been 'FDA Cleared', it means the device has undergone scrutiny from the FDA. Materials, construction, and chemical composition are investigated by the FDA. Harmful chemicals, such as BPA, leak from plastics. Will human saliva break down the materials of the device? This is a valid question; saliva has this effect on food. General design is examined. The FDA doesn't care of the device works as intended or not. They care if the design is safe. If the design passes, it earns a certification called 'FDA Cleared'. This is put out there to filter out poor designs from inventors who sell mouthpieces solely to capitalize on the opportunity without regards to public safety. One important thing to remember: the laws enforcing FDA regulations are only effective in the United States. 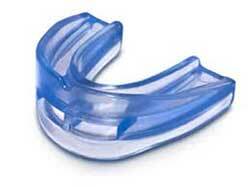 I stated earlier that snoring mouthpieces are Class II Medical Devices. Under US law, this means they are not available to the public without a prescription. Why then, am I able to go to a website, see a mouthpiece and buy it? Is the company fraudulent? I started doing research, and I found a loophole that makes this possible. This information is vital if any if these companies want to earn my trust. The loophole allows companies to mass produce snoring mouthpieces and sell them in whatever manner they see fit. The rule is they have to include clear, precise, written instructions. If they can do that'”and most of them do'”then the consumer is responsible for using it properly. This relieves the company of any responsibility because the user is required to read and follow the instructions before using the device. Take this example. There was a time in the past when Campbell's Soup decided the instructions for their ready-to-eat cans of soup were so simplistic that instructions weren't warranted. The instructions were heat the contents and eat. The public decided they weren't smart enough to figure that out; Campbell's received a barrage of phone calls requesting instructions. It wasn't long before Campbell's realized the mistake and went back to printing the instructions shortly thereafter. Case in point, the instructions are important. The merchant handles the instructions, making them clear and you are responsible for following them. 'Safety First' is an adage taught in grade school. It is the governing factor for everything we do'”sports, recreation, work and play. Remember this when someone is giving you a sales pitch: the confused mind says 'no'. I will not risk displacing my lower jaw unless I'm confident that the benefit outweighs the risk. Confidence comes from education'”the opposite of confusion. Oral mouthpieces are designed to be safe'”if you follow the instructions. Cause and effect plays a role in your experience. If you choose to take the do-it-yourself route, beware the consequences. If you are unsure, ask a professional for clarification. Be kind to your body, and it will return the favor.